20 Comments to "Pacific Non-League Schedules"
The problem with Arroyo being releagued is not football, it’s the other sports. Football is not the only sport at Arroyo. The MVL is probably the worst baseball league in the valley. Arroyo has won league 5 of the last 7 years in the MVL. They would not have won league in any other league in the SGV in those 7 years. Once again, big fish in a small pond. Soccer would have success. Basketball won’t be able to hang with the big boys year in and year out. Wrestling might be okay. Just because they won CIF doesn’t mean they can jump in the Valle Vista league or Palomares and dominate. Girls sports might have a better overall chance of success in other leagues than boys sports if they are placed in the Montview or Almont but will most likely get lit up in better leagues such as the Miramonte or Pacific league. So long story short, the district will not allow Arroyo to jump leagues just for football purposes or to please bloggers. They will continue to have 7 bye weeks a season. 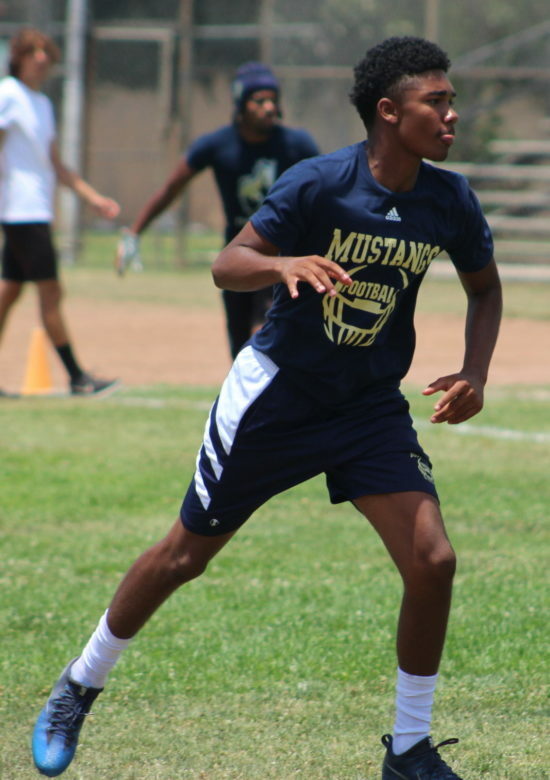 If the coaches were so eager to prove themselves (which I don’t think they are and don’t want to hurt their kids) they would schedule 4 big names a season such as Charter Oak, Glendora, San Marino or Los Altos. @ WWAD: You raise some good points. One might think that it would be in the interest of the El Monte Union High School District to make the Mission Valley into a more competitive football league. All five of its schools are in that league. Perhaps the people in charge could somehow limit the number of student-athletes who reportedly transfer to Arroyo from other schools in the district. I believe that better competitive balance is a good thing. My guess is Arcadia goes 2-1, will be a close game with Hart but they come out with the win. But in fairness to Arroyo, do they have any say in the matter? Aside from the fact that tradition and old rivalries should count for something, I can’t imagine that them leaving their league could happen without total buy in at the district level, and the district surely sees a lot of value in keeping all of their schools tied together. No doubt. That was a solid troll effort. I agree that it would be good to see Monrovia and San Marino swap leagues with the Glendale schools and Pasadena. (And don’t forget, Monrovia may have dipped, but they did beat San Marino the past two seasons). I think it would make both leagues tremendously exciting. In fact, a few years ago someone suggested that those two leagues should formally link up so that schools could be in an upper or lower league depending on the sport. Like La Canada could be in the upper league in basketball, Pasadena in the upper league in baseball, Muir in the lower league in baseball (though they aren’t the disaster they wore a few years ago), etc. @ WWAD: Colt74 is quite a guy. He really gets around, and he knows how to get a conversation going! It seems clear to me that the folks at Arroyo prefer being in a weak league which they have generally dominated. As for our current discussion, the Knights would probably end up in the middle of the “Pac” right now. They’d have their hands full with Crescenta Valley, Burbank, and Arcadia. Muir and Burroughs have been down lately, but I believe that won’t last much longer. The Pacific League would definitely be more of a challenge for Arroyo. As I recently said on another thread, the high school football leagues in the San Gabriel Valley and nearby areas should have been reorganized some time ago. Two cases in point are Glendale and Hoover, schools which should be moved out of the Pacific League. They would be better off in a league like the Rio Hondo, the Mission Valley, or the Montview. San Marino, which has been a powerhouse in the Rio Hondo for the last several years, should be very competitive in the Pacific League. The same would have been true for Monrovia if the Wildcats hadn’t taken a dive the last two years. If the Arroyo homers want to call me an anonymous hater so be it. Beating up on programs that are a joke is not elite. They scheduled Bonita this year. Pretty gutsy. Maybe they thought Ibis Aguilar would still be coaching there and they would have a chance hahaha. THIS IS ALL YOUR FAULT, Colt74!!! My point exactly. Glad people are starting to figure that out. Arroyo basically has bye weeks vs Mt View, Marshall, and Gabrielino. Easy wins vs El Monte and Rosemead (the past 3 or 4 years) and a somewhat relevant game vs SEM. Add Temple City and Rowland the last 6 years and they basically have a cake walk for 7 games, 1 some what “tough” game (we know SEM can’t bang with them) and one “real” game vs a Covina or Schurr. Come playoffs they are fresh. It’s easy to get really amped for one or two games in the regular season and then be ready for playoffs. Put them in another league and they don’t have the dudes to play hard nosed football every single week. Not just once or twice during the regular season but all year. Being the best team in El Monte does not mean you are one of the best teams in the valley. If you think I’m a hater you simply do not know football. It’s not supernatural. Big fish, small pond. They won a CIF title in D12 when they belonged in D11. Heck, Rosemead was in 11 that year. Any Arroyo fan will tell you that Arroyo is superior to Rosemead. Why was Arroyo in D12 that year and Rosemead in 11??? Hmmm. What would Arroyo do? Let’s imagine (not that it’s useful, but just because it is more entertaining than actually doing work on a Monday) that Arroyo were to be kicked out of their league, and decided to become the 9th Pacific League team. How would they do? I have to assume they would be 0-4 against the city of Burbank and the rich kids’ schools. And they would be 2-0 against the city of Glendale. But what about against the Pasadena schools? HS hasn’t had a good team in quite awhile, but I have seen them hang surprisingly tough against a few teams better than Arroyo. And though normally the idea of Arroyo competing with John Muir isn’t realistic, they have suffered a bit of a dip, though they seem to be turning things around. I’ll say 3-5. Fight me! Tp, who do you like to win pac league ?who is your surprise team ? Arroyo… I think I’ve made my point. What????? No posts about Arroyo here yet????? Muir we take 1st place. It’s been awhile since Muir was the best team in the pac.